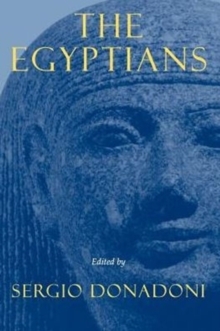 Providing an accessible introduction to the people who lived along the Nile for almost 35 centuries, this collection of essays presents studies of ancient Egyptians arranged by social type - slaves, craftsmen, priests, bureaucrats, pharaohs, peasants and women. From the text the reader learns, for example, that Egyptian peasants could not afford burial (their corpses were abandoned on the desert fringe), and that it wwas the bureaucrats who made the Egyptian system work (the pyramids could not have been built without them). The portraits of individuals merge to create a larger picture of Egyptian culture, state and society. The framework of the Egyptian state, in particular, is touched upon in each essay, describing the meticulous administration and well-organized hierarchical system which fostered centuries of stability and prosperity.